Comfortable house for 4 to 6 people. RC: room with ping-pong table; room with tidying up. 1 bedroom with 1 double bed; 1 bedroom with 2 single beds. 2 parking spaces in enclosed courtyard. Covered terrace with garden furniture and barbecue, swing for children. 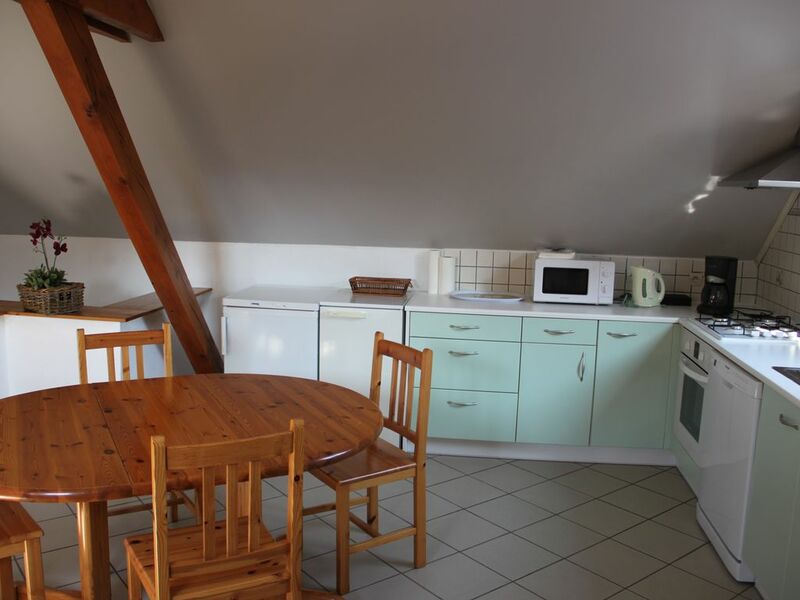 Rental located near SELESTAT and COLMAR and halfway between STRASBOURG and MULHOUSE. Near the German border, the Europa Park of RUST and 35 kms from the VOSGES. shower cubicle, washbasin, wc. washing machine.